The following article was written by the staff of (cool) progeny and featured on Cool Progeny. Parents have many different reasons for wanting their children to learn multiple languages — better career opportunities, more flexibility in an ever-growing global economy… but what if we told you that language learning has important cognitive benefits too? Benefits that will help children now, as well as in the future? Krieger Schecter Day School (KSDS) is a co-ed, K –8 independent Jewish day school in Baltimore that offers an integrated dual-language curriculum. Students at KSDS are not only engaged in general studies, but also spend a portion of their day learning about Judaic culture with a specific concentration in the Hebrew language. But KSDS is preparing students to be successful in other ways as well. Research shows that bilingualism, fostered by programs such as the one at KSDS, helps to improve executive function skills — but what exactly are they? Harvard University defines executive function skills as “the mental processes that enable us to plan, focus attention, remember instructions, and juggle multiple tasks successfully. The brain needs this skill set to filter distractions, prioritize tasks, set and achieve goals and control impulses.” In other words, these are the skills that everyone needs to concentrate, control their thoughts and actions and be able to multi- task each day. Things we all need to be successful. In addition to preparing our children to be global citizens, dual language programs help students to self monitor, improve working memory, and promote flexible thinking. What does dual-language learning look like in the classroom? At KSDS, kindergarten teachers begin teaching modern Hebrew by immersing the children in the language. Students’ Hebrew vocabularies are expanded so they are able to both understand and speak the Hebrew language. By the middle of first grade, KSDS students can read and write Hebrew independently. The K-8 curriculum spirals and continues to build students’ language skills each year. 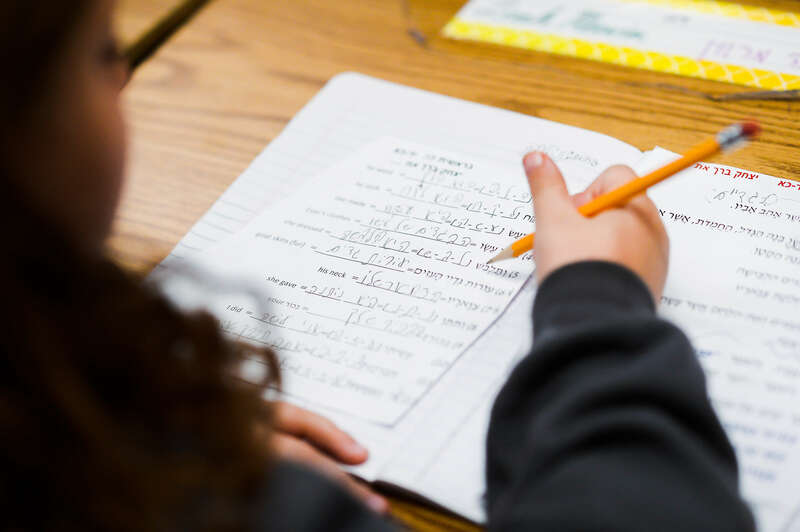 The strength of the program can be seen throughout the grades as students become fully conversant in Hebrew by 8th grade, bringing them to a point where they feel that the Hebrew language is their own. Alum Natan Gamliel credits his unique dual-language experience at KSDS with teaching him how to articulate thoughts. “[The experience] has granted me a greater appreciation and understanding of how languages are designed and I could see a clear progression in my skills in an uncontrived manner that allowed me to implement them beyond the classroom,” said Natan.